What’s Next for the Trucking Industry and Intermodal Transportation? The 2012 presidential election is history. The voters have affirmed a second term for the incumbent president. The congressional makeup of the House (Republican majority) and the Senate (Democratic majority) remain mostly the same and American still faces great challenges on all fronts to its prosperity and its future. 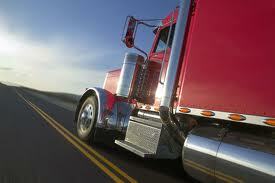 However, there are some encouraging signs for our trucking industry. Third-quarter results for domestic intermodal container volume were released during election week. The Intermodal Association of North America reported a 11.3 percent increase in domestic containers, which were chiefly responsible for the gains in intermodal. Volumes were higher in the Northeast and Midwest intermodal trucking industry, with growth in numbers of up to nearly 15 percent higher. While reports of strong domestic container growth is welcome, weak port volume was the largest overall cause of modest international intermodal volume increases, according to the IANA. An anticipated rebound in imports should help to “…deliver higher levels of overall intermodal performance in the coming months,” the IANA reports. At last month’s American Trucking Association’s conference, ATA President Bill Graves said that intermodal transportation industry can be stimulated by job growth and more jobs, but the U.S. government has to get its act together to bolster a weak economy. At Calhoun Truck Lines, we are hopeful that the economy will continue to grow, container volumes will rise and we will be able to move more freight from our five Midwest trucking facilities. Each of Calhoun Truck Lines’ operational facilities is fully equipped to handle your intermodal trucking needs. The company is dedicated to delivering a level of service that consistently meets our customers’ expectations. Our responsibility continues with providing a professional working environment for our employees and maintaining a safety conscious truck fleet to share the roads with fellow motorists. With the help of our elected officials, sound transportation initiatives can be developed. For instance, Midwestern states’ governors brought forth regional recommendations for the federal transportation bill signed into law in July 2012. By working along with these guidelines for states in the country’s midwest, we can try to use transportation to help propel the Midwest’s energy, people and products.